South Australia is a forerunner in renewable energy technology when it comes to solar power adoption. It receives half of its electricity from wind and solar systems. A recent AEMO (Australian Energy Market Operator) report shows that about 9.2% of the electricity generated in 2016 were from small-scale rooftop PV systems. This increase in solar installations and the consistent sunny weather conditions are pushing the state’s grid demand to record low values. A decade earlier, night used to be the period of low demand on the grid. However, the solar revolution has resulted in a “duck-curve”, where the middle of the day registers minimal load on the grid. 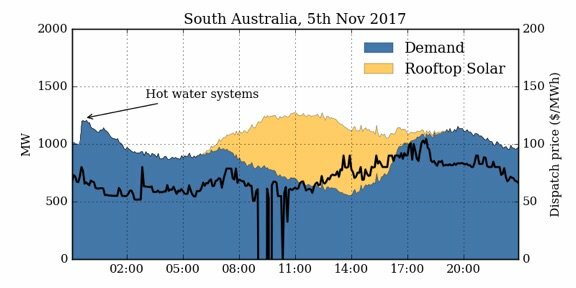 According to the APVI solar map, residential solar installations provided about 30% of the energy demand in south australia for six hours this week. The minimum grid demand hit 554 MW on 5th Nov 2017. This is a considerable decrease from the previous minimum demand of 786 MW on 10th Sep 2017. AEMO expects that, within a decade, the residential solar power would contribute up to 30% of the state’s energy requirements. As a result, the minimum grid demand can finally touch zero. In addition, the state could generate about 2,500 GWh a year through rooftop solar. This provides an option for SA to export its excess generation provided that it acquires sufficient peaking generation plant – the fast-response capacity type that is run on gas or diesel. South Australia is the first region in the NEM that has experienced rolling power black-outs (in 2016) since the NEM’s establishment as a competitive wholesale market. This was due to lack of fast-response plant that can provide back-up and balancing energy to intermittent renewable energy generators. AEMO notes that the state has about 1515 MW of solar projects in the planning and implementations stages. This will make building fast-response plant even more critical. The recent attempts by the state to bring in battery plant to provide such back-up services may be premature. Battery stations are not power stations and cannot generate new energy to complement renewable generation. 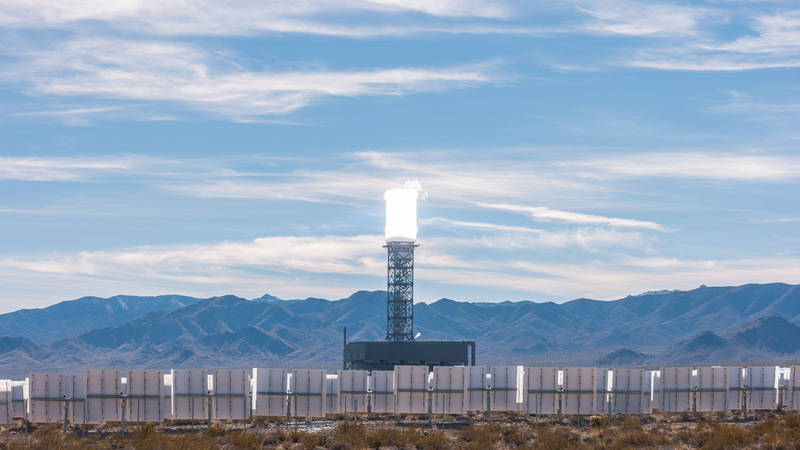 To supply an equivalent load, there needs to be twice the amount of renewable capacity and three times the amount of battery capacity to peaking plant capacity, than otherwise would be if a combination of renewable and fast-response plant were used. Batteries are not turbines so can only discharge (“generate”) energy, once charged up, which would require excess renewable capacity to charge them on an ongoing basis. A similar situation is developing in Western Australia. Here, the grid demand reached an 8-year low in the first week of November. The increase in rooftop PV and large-scale wind farms will call for more flexible generation patterns and procurement of peaking capacity to avoid potential power failures. Battery storage solutions could be incrementally acquired in line with declining costs, which remain relatively high.